Ask any college freshman, and you will undoubtedly hear that natural and architectural aesthetics played a major part in the ultimate decision of exactly where to attend college. It’s easy to dream of ivy-covered red-brick buildings of higher learning, and as it turns out, there is no better place in this country for classical brick architecture and manicured gardens than the South. 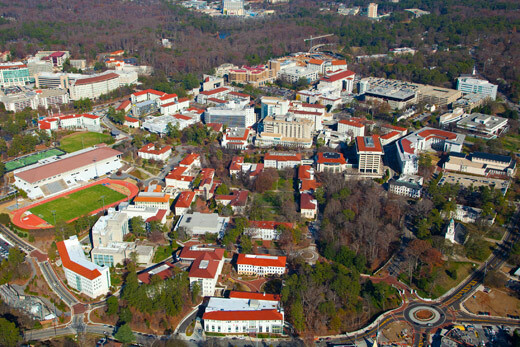 The thirty colleges and universities on this list are considered to be some of the most beautiful college campuses in country, and the most beautiful in the South. They are located all throughout the southern U.S., from Louisville to St. Augustine, and Tuscaloosa to Winston-Salem. 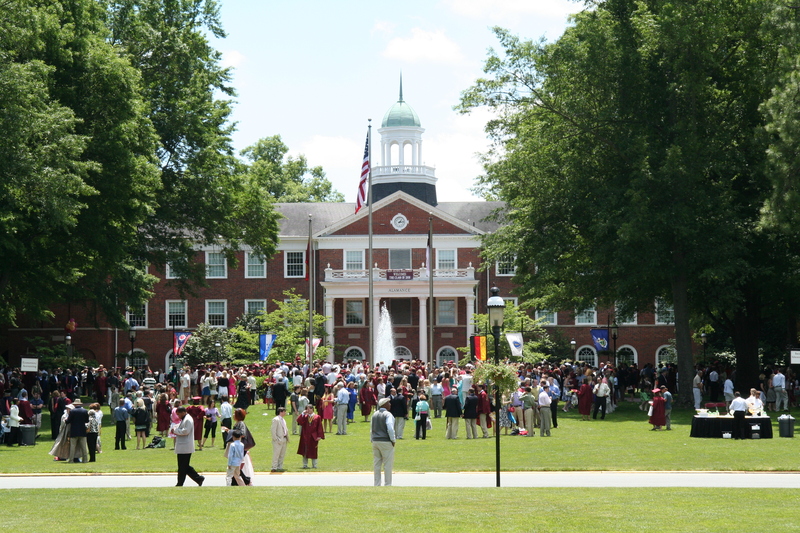 Awards & Recognition (2 points for an international accolade; 1 point for an American accolade; 1 for appearing on the National Register of Historic Places): Whether a national award or an honor bestowed by a group or organization, any recognition a campus has received played a large part in the placement of a school on this list. Generally speaking, the larger and more recent the honor, the higher the college was placed. Student Enjoyment (1 point per notable feature): While most of the features described in this article can be appreciated visually by both students and visitors, those campuses with features that can be physically enjoyed by the school’s student body (such as botanical gardens or hiking trails) were given higher priority. Number of Notable Features (1 point for each notable feature): Campuses with more than one significant or celebrated building or feature were ranked higher than those with a single notable feature. Other (1 point each): Those campuses with other notable characteristics, such as historical significance or environmental friendliness, were also considered. In the event of a tie, the higher-ranking campus was chosen by the author based on characteristics such as natural terrain and climate, historical significance, or academic reputation. Founded less than fifty years ago, Regent University may be younger than most other Virginia colleges, but its thoughtful architecture and design means it has rightfully earned a spot on this list. Located on 70 finely landscaped acres in Virginia Beach, Regent University consists of classical, Georgian-style buildings, one of which is the Founder’s Inn and Spa, a hotel and special events venue that has become a luxury destination for tourists when its not hosting large school events. Regent sure isn’t lacking in natural beauty either; it’s located an hour from Colonial Williamsburg and a mere sixteen miles from the Atlantic Ocean. Florida Southern College has been named by Architectural Digest as one of the most beautiful colleges in the United States, an honor undoubtedly bestowed because of its unique position as the largest single-site collection of Frank Lloyd Wright buildings in the world. Sitting on the shores of swampy Lake Hollingsworth, Florida Southern College is made up of dozens of Wright’s structures, almost all of which are connected by esplanade roofs which provide a shady escape from the hot Florida sun. Interestingly, it was mostly students who built these esplanade roofs; in the 1940s and 1950s, a number of students attended the college by exchanging carpentry skills for free tuition. Located in the Birmingham suburb of Homewood, Samford University is made up of 200 immaculate acres of uniform Georgian-colonial buildings and a backdrop of trees and gardens. Student housing is located near the manicured quad, which has proven the preferred gathering spot of students from all years. 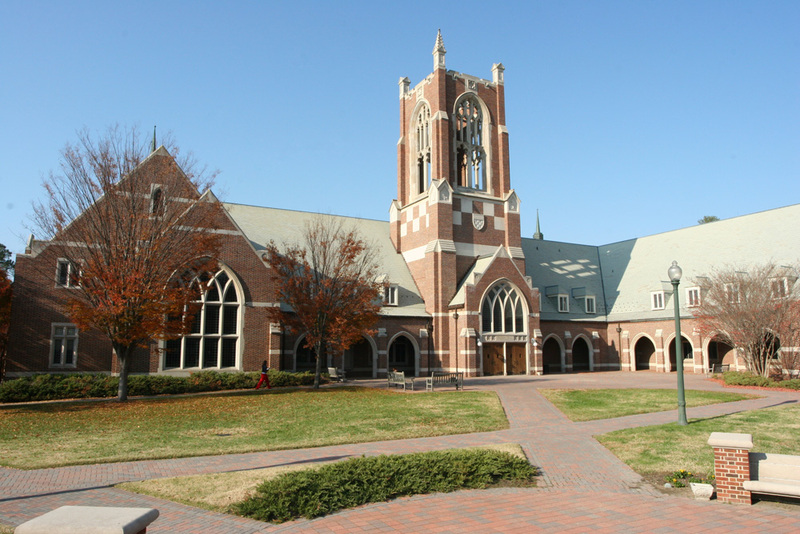 Though every building on Samford’s campus is aesthetically pleasing, the Hodges Chapel especially stands out. Its interior dome was painted by fresco master Petru Botezatu. With its impressive views of Bowling Green and the Barren River Valley, Western Kentucky University has consistently been recognized as one of the most beautiful college campuses in America. A large pylon, erected in 1956 for the university’s 50th birthday, welcomes students and visitors to campus with the campus motto, “The Spirit Makes the Master.” Guthrie Tower, Centennial Mall, Cherry Hall, the South Lawn, and the statue of Dr. Henry Hardin Cherry are all included amongst the campus’ impressive landmarks. On those beautiful Kentucky days, students especially enjoy the scenic pathways, bridges, benches, and picnic tables in Diddle Park and Fort Lytle. British poet John Drinkwater is said to have once claimed Washington and Lee University as the “most aesthetically pleasing college setting in the entire U.S.” Situated on 425 acres in the midst of the Appalachian Mountains, Washington and Lee is certainly beautiful. The campus includes many characteristically southern architectural features, such as the historic Colonnade. But perhaps most recognized is the Lee Chapel, named for the Confederate General Robert E. Lee, who was president of the institution at the time of the church’s construction. The chapel is believed to have been designed in part by Lee’s son, and is done in the late Victorian style with brick and limestone. Best known for its long history in college football, Florida State University is oftentimes overlooked when it comes to describing beautiful campuses. The Spanish-moss covered campus has a number of historical buildings, many of which are designed in the traditional southern style. The Heritage Tower is one of the most recognizable images of the University, but it’s the Heritage Grove, consisting of many interesting buildings and sports complexes, that is considered to be the campus’ most noteworthy feature. Though University of Louisville boasts impressively large and modern sports complexes such as the Yum! Center and Papa John’s Stadium, it includes enough southern historical charm to earn it a solid spot on this list. Located in Old Louisville, U of L is surrounded by the largest grouping of Victorian homes in the United States — many of which are occupied by students. The university has continued to purchase large tracts of Louisville land to preserve as part of the university, among which has been the Speed Art Museum and the Confederate Civil War Monument. Notable campus buildings are the Rauch Planetarium, the Covi Gallery of the Hite Art Institute, and the Portico at Brandeis Law School, which serves as the final resting spot for Supreme Court Justice Louis D. Brandeis. Louisiana State University may be better known for its football team, nearby swamp tours, and the local Baton Rouge culinary scene than it is for its picturesque campus setting, but LSU is one pretty campus. Its most recognizable buildings and features include its grassy, tree-lined Quad, Swine Palace, Greek Theater, and Pentagon. LSU’s ivy-covered brick buildings have also appeared in movies such as “Pitch Perfect,” “Glory Road,” “The Reaping,” and “Dukes of Hazzard,” among others. Mercer University in Macon, Georgia is a postcard example of southern architecture and charm. Built in the Renaissance revival style, the Walter F. George School of Law is exceptionally grand with its white pillars and a clock tower directly inspired by Philadelphia’s Independence Hall. But despite the beauty of the Law School, it is the Woodruff House which garnered Mercer a spot on the National Register of Historic Places. Built in 1836 by local architect Elam Alexander, Woodruff is a gorgeous antebellum home designed in the Greek revival style. As if ocean views, palm trees, and an outdoor swimming pool weren’t enough to land a school a solid spot on this list, Flagler College also owns one of Florida’s most beautiful historic buildings. Originally built in 1888 as a luxury hotel, the Ponce de Leon building is now used as a residence hall for Flagler students. The Spanish Renaissance revival, located mere blocks from the beach, boasts a marble staircase, beautiful rotunda, and castle-like turrets. In addition to Ponce de Leon, Flagler has been steadily purchasing other historic buildings in the area to renovate and add to their gorgeous campus. 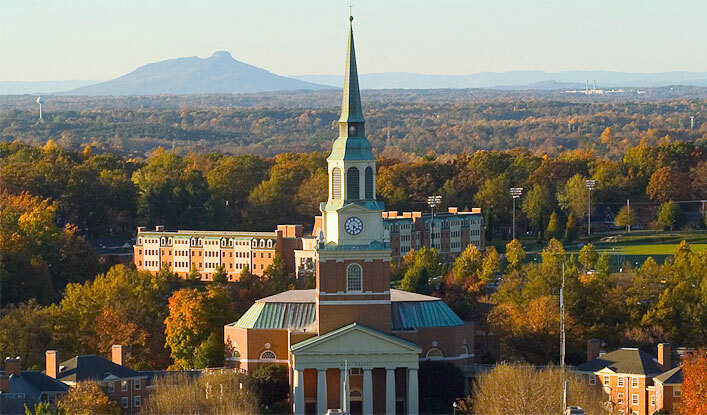 Those who love nature love University of North Carolina at Chapel Hill — and for good reason. The University boasts a gorgeous botanical garden that spans nearly 700 acres, meaning students and visitors of the 729-acre campus are always surrounded by thousands of varieties of plant and tree life. Not surprisingly, the University was named a National Landmark for Outstanding Landscape Architecture by the American Society of Landscape Architects’. But UNC’s beauty isn’t limited to the natural kind. Of the campus‘ many gorgeous buildings, the most iconic is undoubtedly the Old Well, a neoclassical rotunda said to provide anyone who sips from its water fountain with good luck. 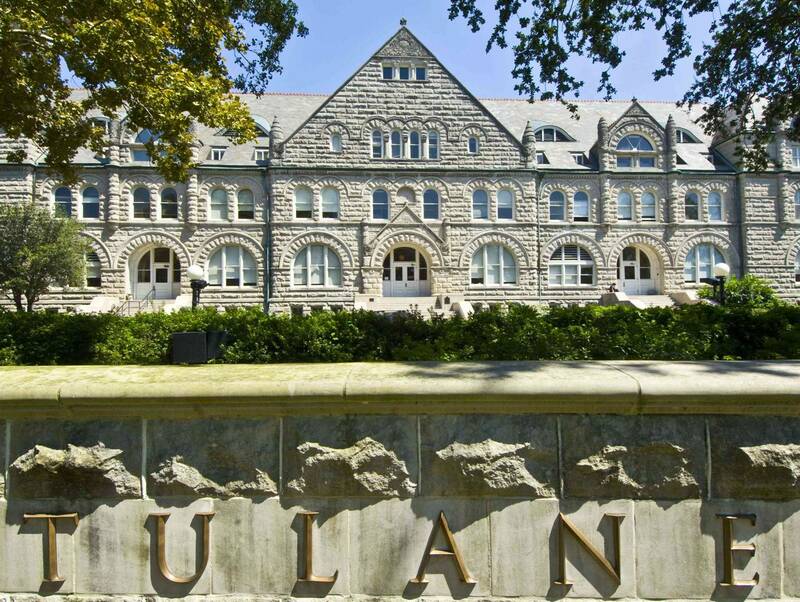 Situated within New Orleans, Tulane is a quintessentially southern university in one of the most southern of cities. The 100-acre campus is an assortment of oak-lined green spaces and graceful buildings, nearly all of which have been designed in different styles. Most notable, however, is the facade of Gibson Hall, Tulane’s inaugural building, which was completed in 1894 by the local firm Harrod and Andry. The elegant stone facade is described as Richardsonian Romanesque, and has been listed on the National Registrar of Historic Places for more than 35 years. According to one Wake Forest student, “There is nothing prettier than sitting on the steps of Wait Chapel looking towards Reynolda Hall on a crisp fall day.” In fact, Wake Forest University was designed to look especially impressive during the southern autumn. The University’s 340 acres, which includes massive Reynolda Gardens, is alive with thousands of maples, magnolias, oaks, cedars, and other trees that alight in reds and yellows. Add to the natural beauty a series of neo-Georgian buildings such as Wait Chapel and ZSR Library, and you’ve got one of the South’s most gorgeous college campuses. If you’re walking through any of Rhodes College, you’re likely to think you’ve somehow left Memphis, Tennessee and found your way to old England. That’s because the 100-acre campus was designed to resemble an English Gothic village. Originally founded in 1925, Rhodes’ Oxbridge-style quad is crowned by an imposing stone library. But it’s the Avenue of Oaks that secures Rhodes a spot amongst the most beautiful of college campuses. When the college moved to Memphis from nearby Clarksville, student John A. Rollow brought with him a collection of oak tree seedlings. Rollow’s Avenue of Oaks now runs from North Parkway to Palmer Hall and is the crowning jewel of an already gorgeous campus. University of Alabama is 1,800 acres of antebellum southern charm. Surrounding the quad, with its iconic campanile and 25-bell carillon, are several Greek revival buildings. Many of these buildings, including the president’s home, were built before the Civil War and those that survived the fighting are still being used today. The historic campus also boasts an arboretum, and several cultural centers including an art museum, a natural history museum, the Allen Bales Theater, the Marion Gallaway Theater, Morgan Auditorium, and the Frank M. Moody Music Building. Located in one of Atlanta’s oldest neighborhoods, Emory University is classically southern in every sense of the word. Much of the campus consists of Lullwater Park, a 100+ acre space dedicated to preserving the natural environment of the South. Students can enjoy the many hiking and walking trails, as well as views of the university president’s Tudor-style mansion. In the center of campus, the quad is flanked by a number of historic buildings, the most notable of which is the ornate Pitts Theology LIbrary, which has been included in the National Register of Historic Places. The university lovingly referred to as Ole Miss is a beautiful campus steeped in southern tradition. Ole Miss was founded in 1848 with only one building, the Lyceum, a classical brick building with clean lines and white plaster accents. The Lyceum still stands today and appears as the university’s official crest. The nearby School of Medicine, another imposing building of Greek revival architecture, was used as a Civil War hospital for both Union and Confederate soldiers. And finally, The Grove, a shady green space lined with oak, elm, and magnolia, is the place of worship for what many in Oxford, Mississippi describe as the religious experience that is Football Saturdays. Though located just outside the huge metropolitan area of Nashville, Tennessee, Vanderbilt University’s campus has been described as being “like walking into the 1700s.” The peaceful 300-acre campus doubles as an arboretum in which about 170 species of trees can be found, and birds such as hawks, owls, and cardinals are spotted frequently, along with other forms of small wildlife. But it’s not just natural beauty for which Vanderbilt is known. The Italianate-style Kirkland Hall serves as the campus’ orientating landmark and the official welcome for Vanderbilt’s thousands of visitors each year. With landscapes designed by prominent landscape designer Warren H. Manning, and buildings constructed by the famed Ralph Adams Cram (who also designed a number of other buildings mentioned on this list), it’s no wonder University of Richmond, known for its red-brick, Gothic-style buildings, was named the Most Beautiful College Campus in the country by The Princeton Review in 2000. Situated on 350 acres in the hills of Richmond, the university boasts a number of acclaimed buildings known for both their beauty and historical significance. Most notably, Jeter Hall was completed in 1913 and shortly after used as accommodations for nurses stationed at the campus hospital during World War I. And the campus’ large expanse of green space doesn’t get any prettier than Westhampton Lake. Nestled high atop Lookout Mountain on the border of Georgia and Tennessee, tiny Covenant College consists of 300 acres of landscaping and architecture designed to showcase the area’s natural beauty. The buildings are a mix of current and traditional styles, though every building was designed with a wealth of windows to take advantage of the mountain-top view of seven different states. Flowers and trees are plentiful, and its no wonder Covenant students are estimated to spend nearly 90% of their time outside of the classroom. Named for its royal English founders, the College of William & Mary is the second oldest college in the United States (Harvard came first). The Wren Building, designed by none other than British architect Sir Christopher Wren of St. Paul’s Cathedral fame, is a gorgeous and imposing building topped with an iconic weather vane which bears its founding date: 1693. Sunken Garden, a grassy area near the quad, stretches from Wren to Crim Dell Pond, and is usually seen dotted with sprawling students. Charming Duke of Gloucester street connects the 1200-acre campus with the lovely historical town of colonial Williamsburg. Of Sweet Briar’s approximately 30 campus buildings, a whopping 21 of them have a spot on the U.S. National Register of Historic Places. Most of those 21 buildings were designed by famed architect Ralph Adams Cram, who had a hand in a number of buildings mentioned on this list. The crown jewel of the College is often considered the 130-acre equestrian center, which houses the school’s seven riding teams and is often seen with horses grazing in paddocks and students riding around on horseback. 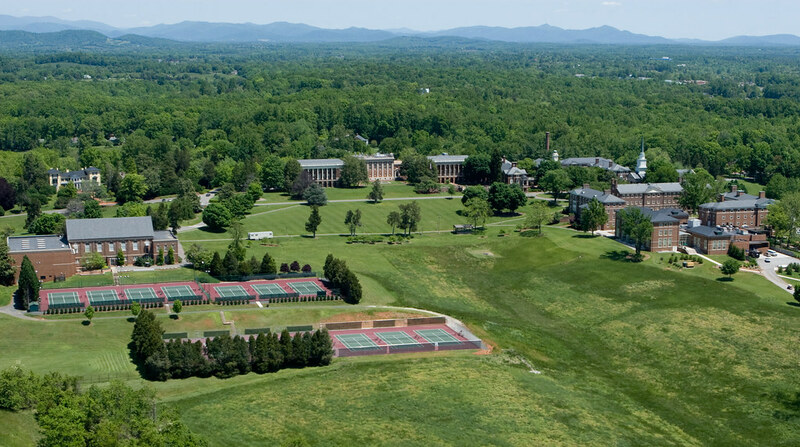 The college was designed with visual coherence and symmetry in mind, and with the Blue Ridge Mountains providing a gorgeous backdrop, it’s undoubtedly one of the prettiest in the South, if not the whole country. Duke University’s Gothic-inspired buildings have become synonymous with southern style university architecture. Most notably, the Duke Chapel, with its heaven-reaching spires and ornate stone work, is one of the most recognized buildings in the United States. Much of the chapel was designed by Julian Abele, one of the first prominent African-American architects. Throughout its history, the chapel has been awarded a number of awards for its architectural and historical achievements. Other architectural gems on the Duke campus include the Karl and Mary Ellen von der Heyden Pavilion and the Rafael Vinoly-designed Nasher Museum of Art. On several occasions, the American Society of Landscape Architects has called Furman University one of the Most Beautiful Places in the USA (campus or not), and that’s hardly a surprise. The 750-acre wooded university is known for its lush landscape and natural beauty. The Asian-inspired gardens include bamboo, irises, and even a former Buddhist temple (now called the Place of Peace). 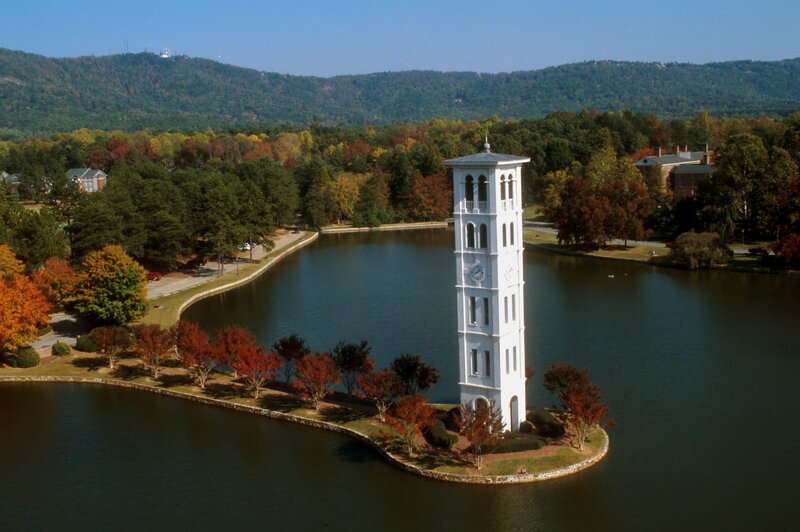 Its Georgian-style buildings surround a gorgeous lake, at the center of which stands Furnam’s iconic bell tower. An 18-hole golf course sits amidst miles of popular walking trails, one of which leads to a replica of Henry David Thoreau’s home. Berry College, located in rural Mount Berry, Georgia, holds the world record for the largest contiguous college campus in the world. Most of its 27,000 acres is made up of fields, lakes, forests, and mountains through which walking-, bike-, foot-, and horse-trails weave. To promote its expanse of natural beauty, Berry frequently organizes group hikes, archery, and even deer hunts in autumn. Making up campus proper is a series of English Gothic-inspired buildings, including Ford Dining Hall and Ford Auditorium, both of which are named after the school’s largest benefactor, Henry Ford. To top off the beauty, reflecting pools and fountains are abundant, and are often seen in images of the college. Sewanee: The University of the South is chock full of southern charm. Composed of classical, Gothic-style architecture, the campus boasts a number of notable buildings, the most postcard-perfect of which is undoubtedly All Saints, a chapel originally inspired by University Church at Oxford and Notre Dame in Paris. All Saints has been featured in hundreds of magazines over the years, and has repeatedly been named one of the most beautiful buildings in the United States. Sewanee itself, located on 13,000 acres in the Cumberland Plateau, overlooks the Tennessee Valley. Its natural surroundings consist of forest, lakefront bluffs, garden ravines, and a running stream lined with daffodils, hyacinths, and tulips.